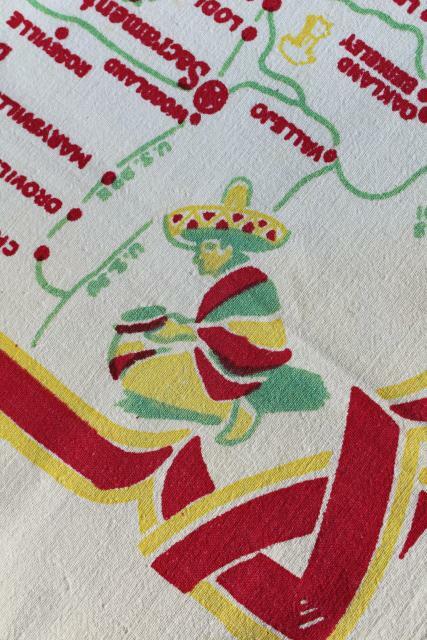 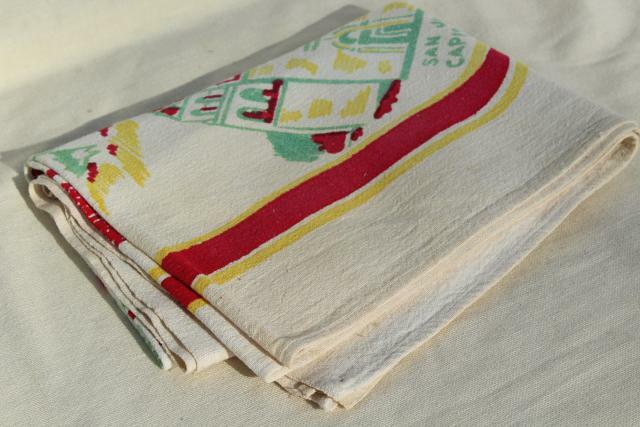 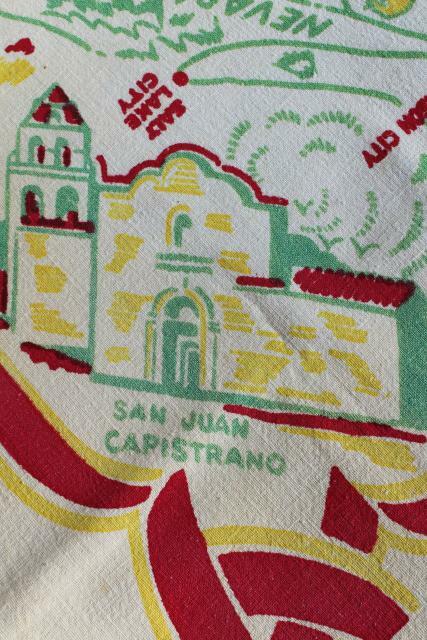 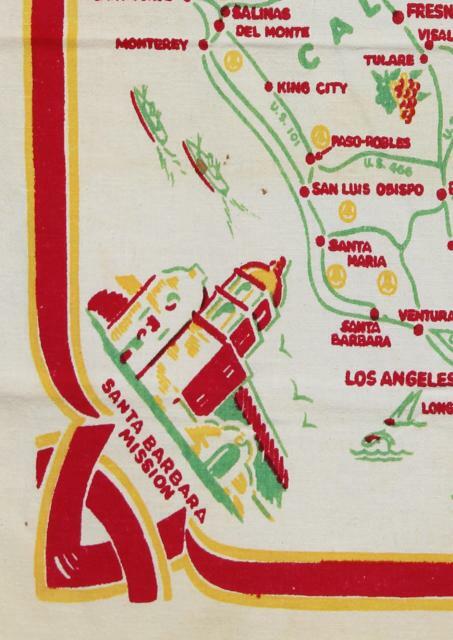 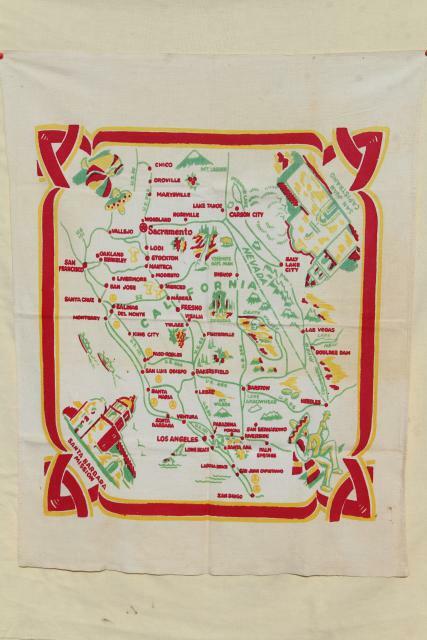 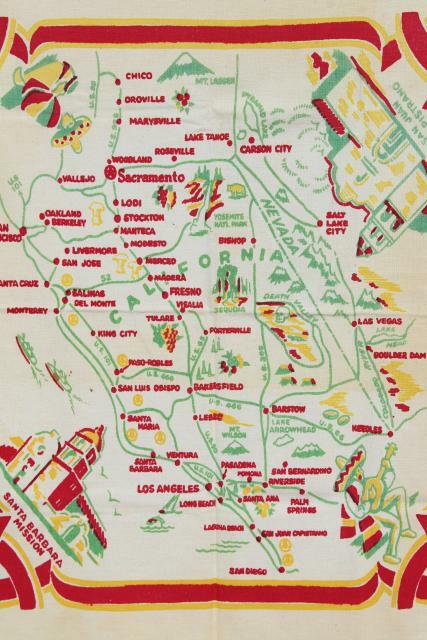 Mid-century vintage printed cotton tablecloth with map of southern California, kitschy souvenir style! 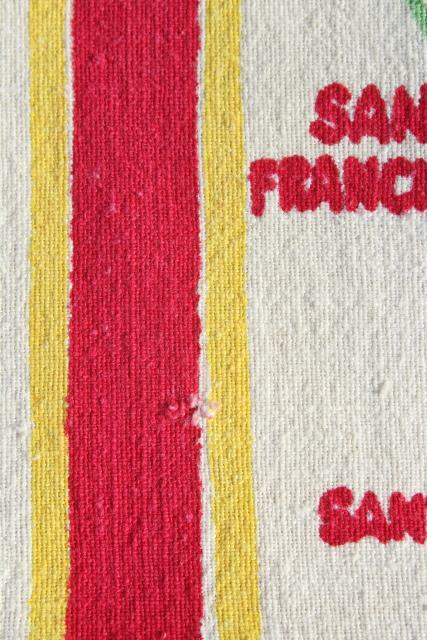 This has a few spots, a couple of tiny holes... it's not mint, but looks pretty nice overall. 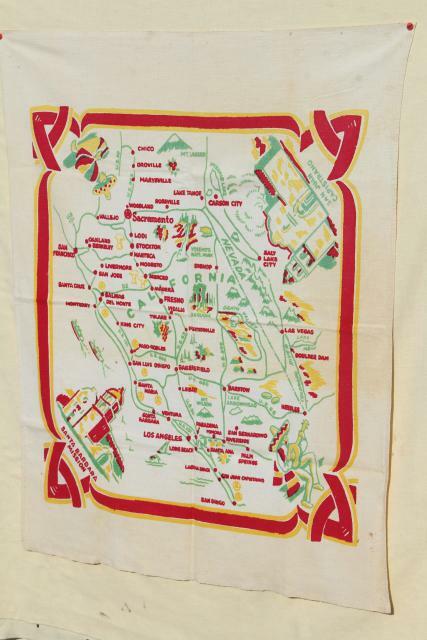 Measures about 39" x 30" overall, a nice small sized cloth to hang for wall art display.